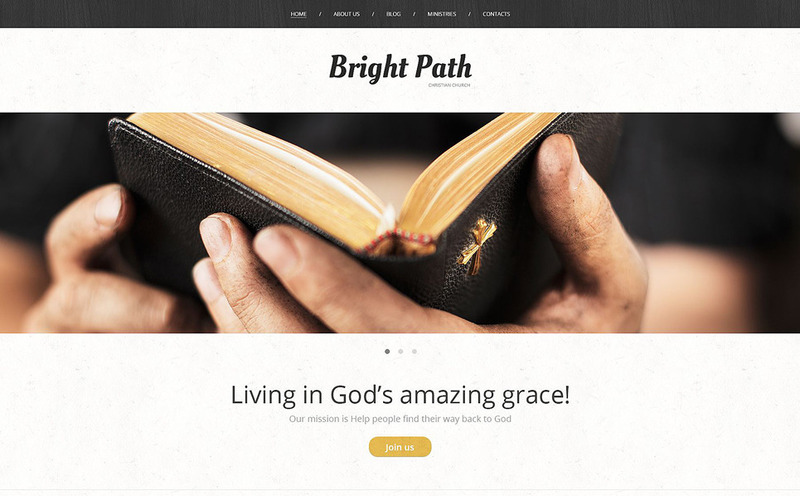 Whether you were long seeking a religious template powered by diverse features and splendid designs, it’s time to stop and look through our Church WordPress themes. To help churches and religious organizations reach a wider audience, we made our templates responsive to adjust your website to any screen of any handheld device, regardless of what your clients prefer to use. All WordPress themes are also cross-browser compatible, so you don’t need any browser testing, your content will look the same perfect in all the browsers. Considering the needs of the religious websites, we supplied these templates with the color schemes that will give website users the feel of peacefulness and trust. The templates are convenient and easy in use, so you can customize your content with no effort. Look through our WordPress Religious templates to find out more about usability and functionality. 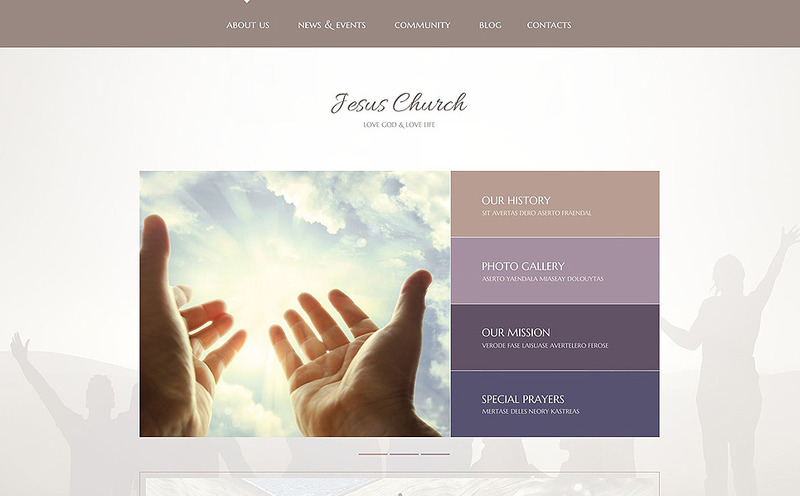 The Jesus Church WordPress Theme is recommended for churches. Responsive design will render your website on any screen of any device, regardless of what your clients prefer to use. The color scheme includes soft colors to give your clients feel of peace and trust. You can organize the content with the help of convenient blocks and tell about your church in an easy to perceive way. The template is well-coded and with the help of admin panel you can customize your content in a simple way. 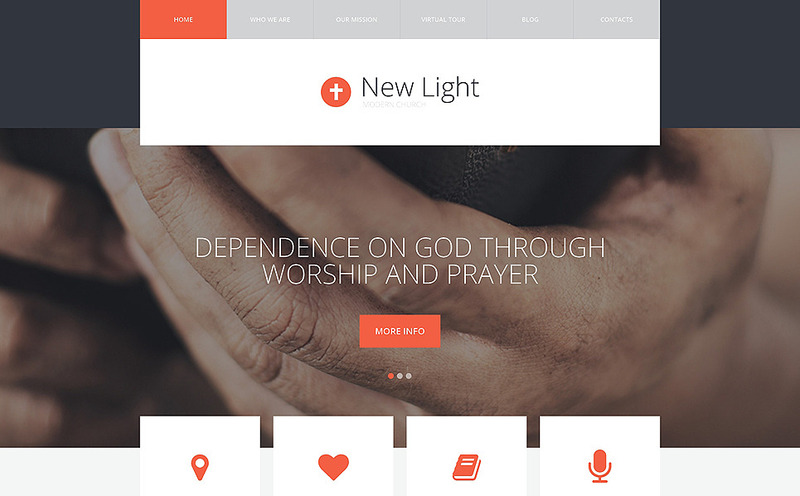 The Enlightenment Faith WordPress Theme can be used for church websites. The large background image will catch the eye of the web users. Convenient structure will help you organize your content easily so that your clients can find whatever they need. The template is well-coded and user-friendly. Built-in theme customizer is simple in use. The light colors will give your clients the feel of calm and peace. And you can switch the tones with the color switcher. 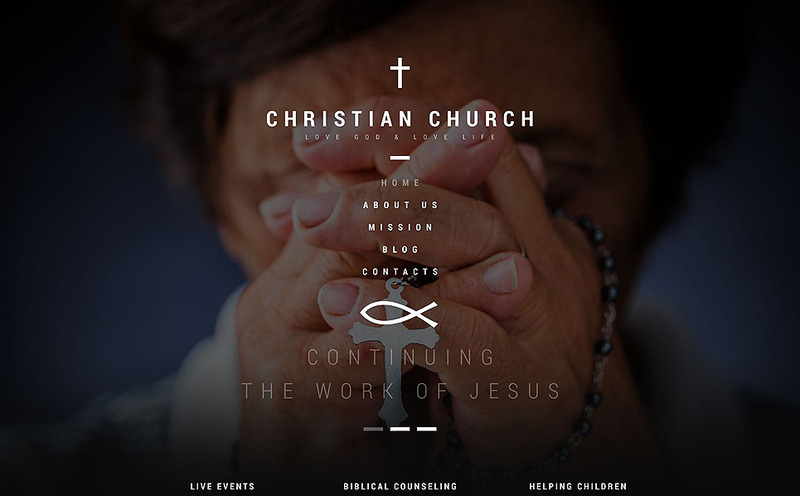 The Christian Church WordPress Theme is quite a solution for any church or religious organization. Responsive design will scale your website for the screen of any handheld device and a full-width background image will catch the eye of web users. The name of your organization and the vertical menu are just in the right place to focus the attention of your clients on the content you need. Cross-browser compatibility will make your website look the same in all the browsers. Use a built-in customizer to make any changes in a convenient way. The Religious Organization WordPress Theme is quite perfect for church or other religious websites. It works quite well for informative websites. The structure of the template and colored sections will help you organize your content in an easy to perceive way. The convenient in use admin panel will help you customize the template with no effort. You can quickly switch the tones of the template by using the color-switcher. 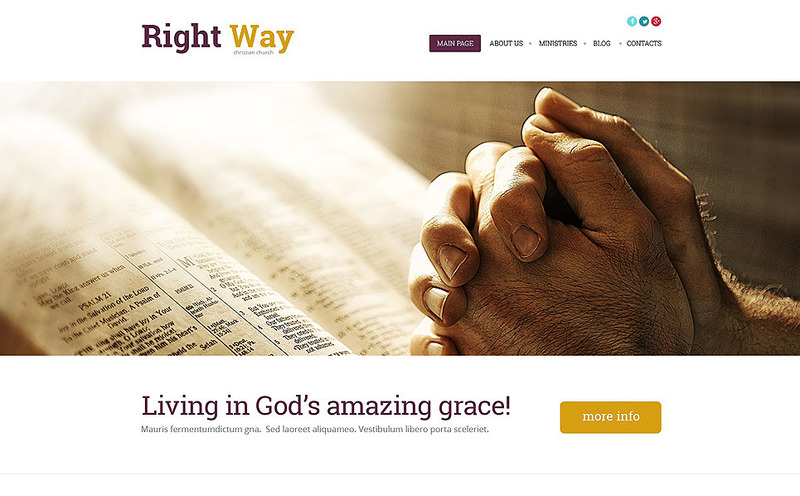 The Religious WordPress Theme is just the job for all types of religious websites. The template is adaptable for any screen resolution providing your clients with a perfect user experience while using any devices. You can organize your content in an easy to perceive way with diverse post formats and types. You can install and customize the template with the help of powerful admin panel. The template is powered by diverse features to help you astonish the web users. 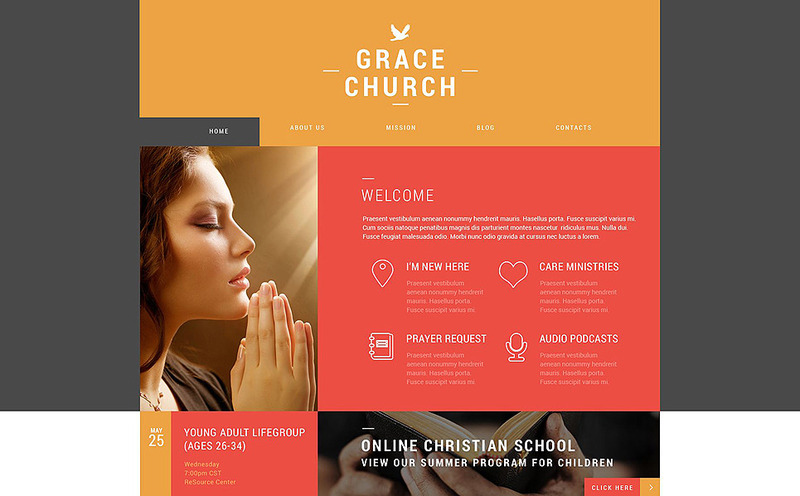 The Church Web Presence WordPress Theme can be used for any type of church websites. Responsive design will provide your clients with a perfect user experience on screens of all the devices. The clean design and a convenient menu will help you to organize your content and the web users will find whatever they need. The color scheme indicates peace and safety, and makes all the images look brighter to catch the eye of the web users.The template is very easy and convenient to customize and use. These Religious templates will help your church to be up-to-date and easily reach your audience. So, look through the templates to find what is better for you. Hey. These themes are really looking awesome. We are planning to open a blog about religion. i think this will be great theme alternatives for us. BTW, your theme also looks very nice. Which one is this? I am looking for Hindu Religious WordPress theme. Do you have the list of this? Your suggestion is really appreciated.